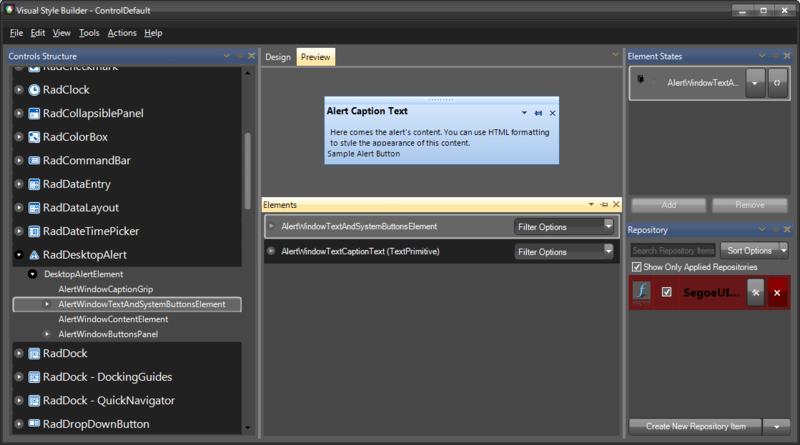 Select AlertWindowTextAndSysemButtonsElement in Controls Structure on the left side. 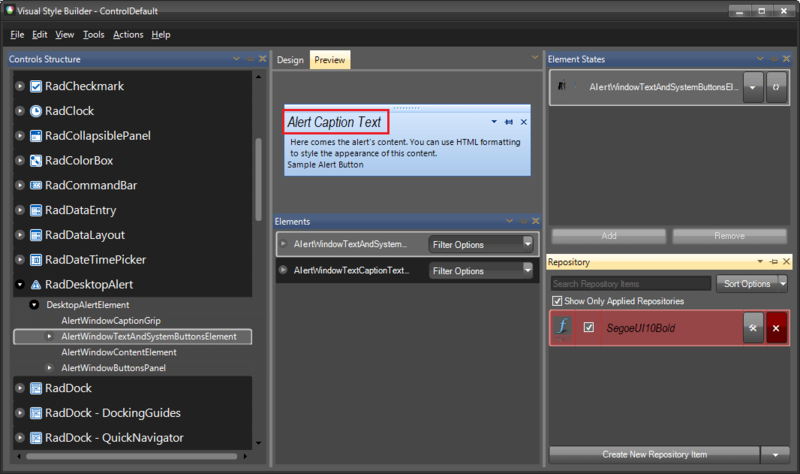 Then, select AlertWindowTextAndSystemButtonsElement in the Elements section. 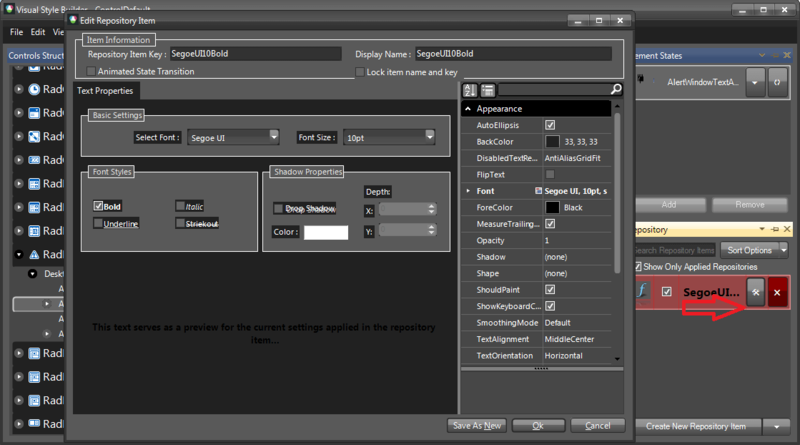 Modify the applied text repository item.